So how’s your Ramadhan going so far, guys? I just watched Daniel eat this. Every sound of the Belgian chocolate honeycomb crackling, I had to hear. Every drop of melted ice cream coming down his chin, I had to wipe. Every moment of it, I had to watch while fasting. And I think I actually drooled. It’s so weird that now I’m a mom. My usual days in Ramadhan would consist of me sleeping the hunger off haha. (So wrong, I know) But now as a mom, there’s no such thing. You gotta feed your children! And watch them savour each bite and finish the whole dish. I don’t mind feeding Daniel his usual meals, but this Magnum… oh man… it was actually painful to watch and not have any. It’s no surprise I’m an ice cream, or anything cold really, lover. I mean, during Mariam’s pregnancy I told you guys I basically spent my time sticking my head in the freezer chomping ice cubes. So it’s also no surprise that my fridge always has Magnum in it. Gym or no gym, mannnn, those Magnum babies I can never resist. I do some talent work for brands that I believe in, and I did one for Magnum a longgg time ago (pre-hijab days). And this is the only shoot in my life that I didn’t mind taking a lot of repeat shots. You see me biting into that ice cream… yeah I had 20 of those for that few seconds shot. And I loved it! Hahaha.. was so happy and giddy after the shoot. It’s not everyday you can bite into as many premium ice cream as you want, in fact, I wished I did more bad takes. Haha. 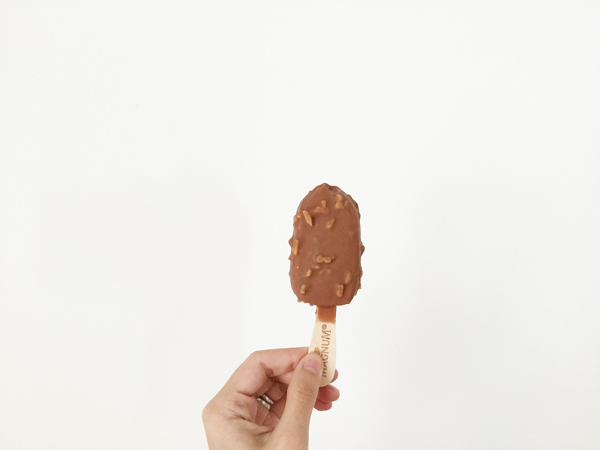 To me, eating Magnum has to be a reward. It’s the designer kind of ice cream that you should treat yourself with… every bite is kind of like eating an LV handbag. Haha. Pleasure seekers, Magnum calls people like me (and maybe you). Basically people should pursue pleasures in life everyday, and a day without pleasure is a day lost! And an example of a pleasure for me, is enjoying my Magnum in peace! For the first day of Ramadhan, I decided to share! So I brought loadssssss of Magnum ice cream to the office. And they were gone in 60 seconds, basically. Everyone took a piece or two to reward themselves for a hard day’s work. Seeing them so happy made me want to do this more often! Maybe I should serve Magnum for my Raya open house this year. It will be my first, Insyaallah, so I want to do it right! I hope to be able to invite my readers as well, so I will share details here if the open house is confirmed! 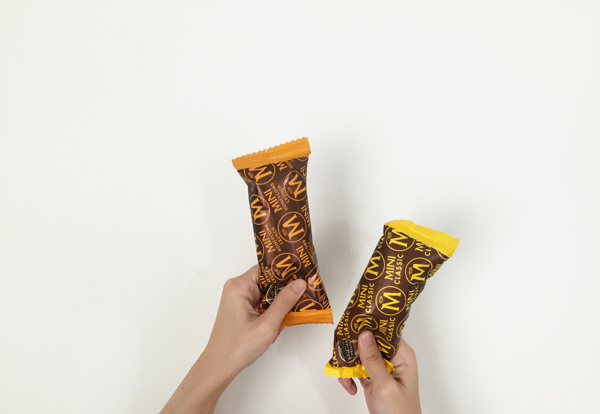 For now, get your own Magnum tonight for buka! Happy treating yourself! lol.ramai cakap xhalal. but I basically have no rights to confirmed that. So have a go! hehe. Nice shot V! Salam Vivy, wah! Vivy nak buat open house. I wish i’m in KL so that i can go to your open house. I love magnum ice-cream too. aaaahh sedapnyaaa tngok daniel dengn magnum tuuu! 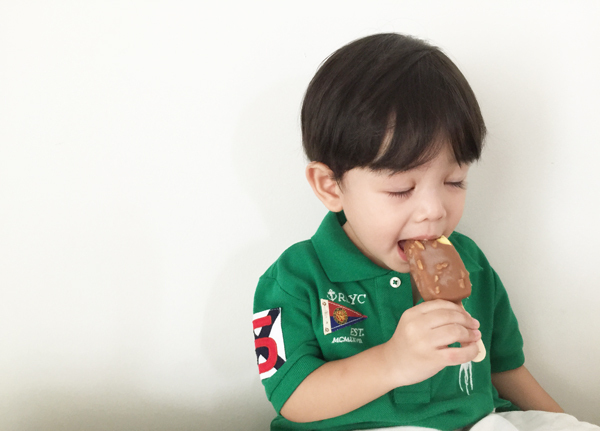 Adoiii… sayangnya in SG, Magnum isn’t Halal. Siap ada Champange flavour lagi! Pfft. had magnum every single day throughout my pregnancy with my 4th child last year. Mesti makan daily or I would cry in frustration. Most times once a day but sometimes more than that! that belgian choc is to die for! Open to readers?? Yes please!!!! Well then! i should give it a try after berbuka ..
saw your post on nuffnang ads, congrats.